Tis the Season of Happiness and Joy but…we get really busy and there are tons of things hanging about the house…a plethora of food…lights…bells… garland and more so we have to keep a special eye on the Doggies and Kitties in the house. 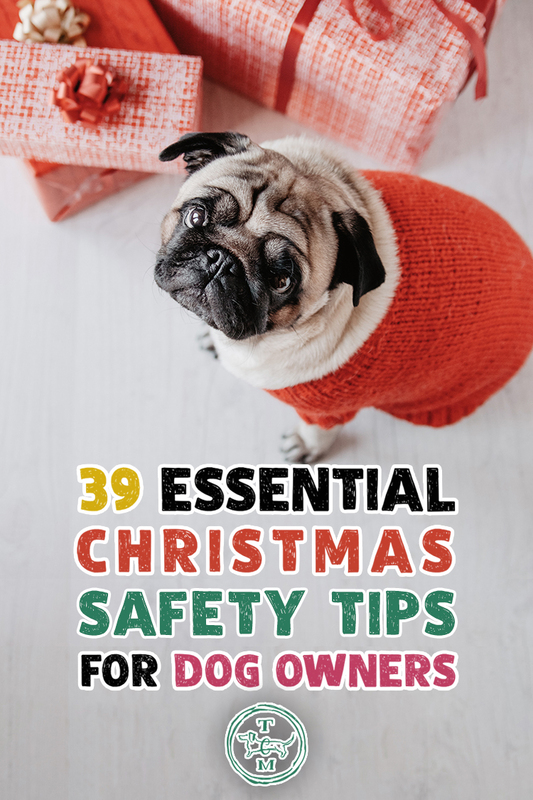 We don’t want them getting hurt or sick so Top Dog Tips…a fabulous website for our furry friends is sharing their 39 Essential Christmas Safety Tips for Dog Owners with us here at The Cottage Market. They saw that we are all Dog Lovers here so they wanted to share with us to get the word out to everyone! I was so thrilled when they contacted me…anything to help our these furbabies any time of the year. Don’t forget to go to their site for tons of other incredible articles that will help you and your pup! Now sit back…chill out with a cup of hot cocoa and a candy cane stirrer and check out all 39 Christmas Safety Tips…they just might save your doggies life! We have one printed out and hanging on the Fridge so Friends and Family will read it too! A BIG THANK YOU to TOP DOG TIPS!!! hristmas isn’t too far off, and experienced pet owners know that this means a house full of potential pet hazards. If this is your first Christmas with your dog, don’t panic because we’ve got essential dog Christmas safety tips to help you make it through. The holiday season is such a busy time, and pet parents need to be especially diligent. There are many Christmas dangers for dogs that are specific to this time of year. As we’re preparing to decorate our homes, cook our Christmas feasts and travel to visit family and friends, we need to be wary of the dangers that may be facing our beloved canines. Don’t forget to visit…there is so much information there from Pet Friendly Items…to Toys that are safe and way beyond. If you love your Dog …you are going to want to join this blog! Here are more details for you…Top Dog Tips wants your Pups to be the safest they can be…don’t forget to visit…there is so much information there from Pet Friendly Items…to Toys that are safe and way beyond. If you love your Dog …you are going to want to join this blog! Thanks Top Dog Tips and Andrea for sharing all the great tips! Merry Christmas! Perfect, love these tips for our pets! Thanks for sharing!